Got that? It seems rather … involved … to me, but the end result sounded fantastic, so I gave it the old college try. I went through the cupboard and discovered what we had on hand. We had some ordinary extra virgin olive oil, plenty of slices of whole wheat bread, sweet paprika (I decided pimenton was a bit much – ordinary paprika should do), saffron, red wine vinegar (which we decided to substitute for the sherry vinegar), cumin, salt, and pepper – all of these items can be reasonably expected to be found in the cupboard of a person who cooks regularly. I then purchased half a pound of spinach for $1.66, a pound of dried garbanzo beans for $1.99, and a garlic bulb for $0.30, finishing out the recipe for a total cost (to us) of $3.95. I then put the beans to soak overnight with just a tiny pinch of “bicarbonate of soda” … which is a five-dollar term for plain old baking soda. I made the conscious decision to use all the beans in the soup and increase the other ingredients by roughly 50% in order to make plenty of the stew so it could be enjoyed for lunch the following day. I then set the beans on to boil in a small pot for two hours, adding a cup of water every ten minutes or so. Trust me, if you try this at home, it won’t take this much work – see my conclusions below. I then took 1/3 cup of the oil, tossed in the garlic cloves, and began to brown the cloves over medium heat. This part smelled fantastic – my mouth was watering. When the garlic cloves were fairly brown, I took out the cloves, then put a piece of bread into the hot olive oil, flipping it after twenty seconds and removing it after twenty more, then repeating it with a second piece. If you waited much longer, the bread started to burn. I then took the bread and the cloves and smashed them into oblivion. We own a mortar and pestle, but I couldn’t locate it, so I improvised with a spoon, a bowl, and some extra time. Here’s the “mash” I wound up with. 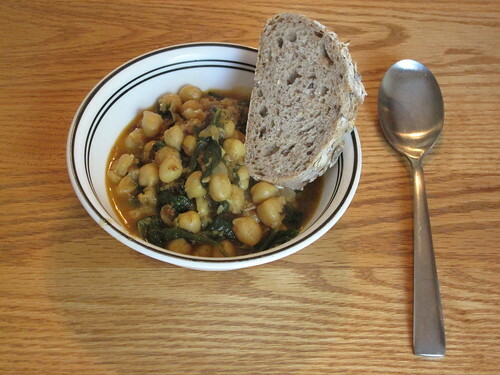 I put the spinach in with the chickpeas and let that cook together for five minutes. Meanwhile, I put the saffron and red wine vinegar in with the still-hot garlicky olive oil, then, confused as to what to do with the cumin, tossed that in there as well. I stirred this up a bit, then added the saffron/vinegar/olive oil/cumin mix straight into the chickpeas, then dumped in the obliterated bread and garlic and stirred, letting it boil for five minutes more. Here’s what it looked like, near the end. As with many soups and stews, a hearty bread on the side is a good idea. 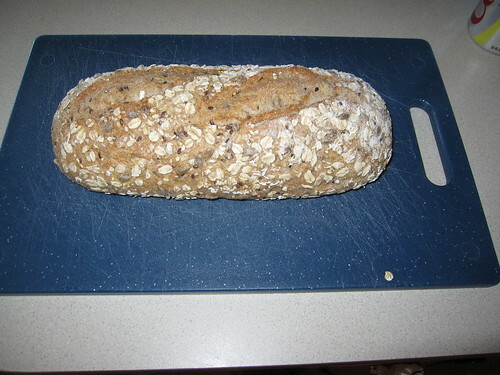 We picked up this loaf for a dollar on sale rather than making our own and had it on the side. And then, the meal is served! We had enough stew for all four of us as well as lunch for all four of us the following day with still a fair amount left over. If I were to do it again, I’d make less soup. Did we like it? I liked it quite a bit and thought it was just right. My wife wasn’t sure at first, added significantly more salt, stirred her bowl, and then seemed to like it quite a bit, having a small second bowl. The children didn’t like it nearly as much, though they both enjoyed the bread. Our total cost (ignoring fractional items we had on hand): $4.95. Our cost per meal: $0.62. Not bad. But we can do better – and we can certainly make it less involved. 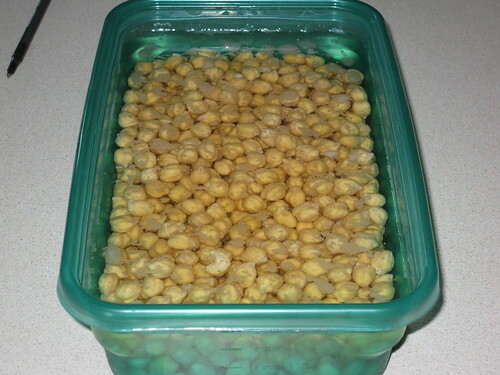 First of all, I’d buy two cans of garbanzo beans instead of soaking and boiling the beans. The dry beans are cheaper and they are nominally better for you than canned, but for most working families, the distinction isn’t enough to make the effort worth it in this case. Second, I’d cut the saffron. Saffron is easily the most expensive item in the dish and you’re only using a pinch of it. Although it does add a nice, subtle flavor, I think it can be dropped without too much concern. 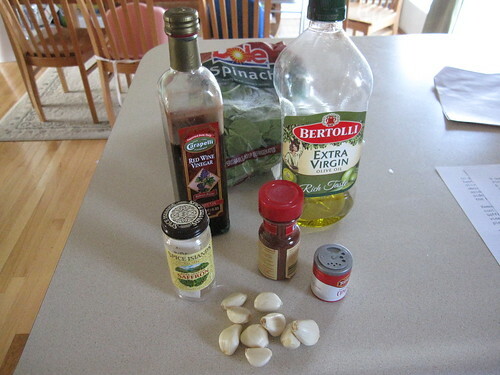 Third, I’d substitute garlic powder for the cloves. Although you miss the caramelization of the cloves, you also save the work of peeling the cloves, cooking the cloves, and smashing the cloves. 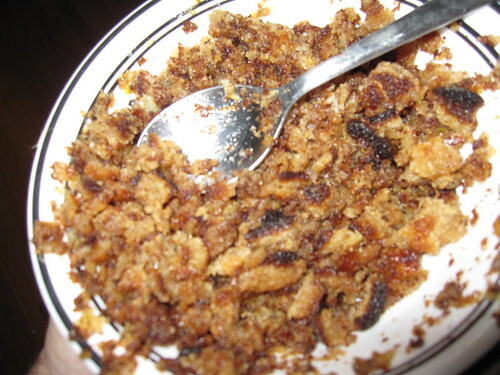 Fourth, I’d use bread crumbs instead of “cooking” the bread and smashing it. Obviously, this change is for similar reasons as stated above. 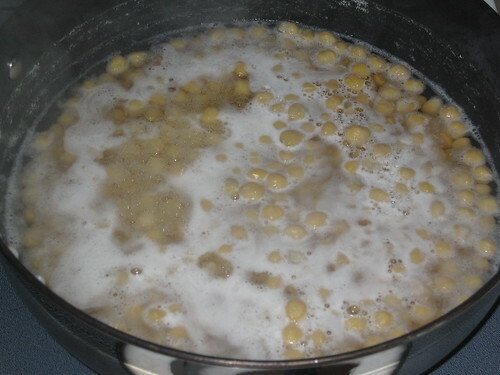 Rinse the chickpeas thoroughly, then put them in a pan, add 1 1/2 cups of water, and bring it to a boil. 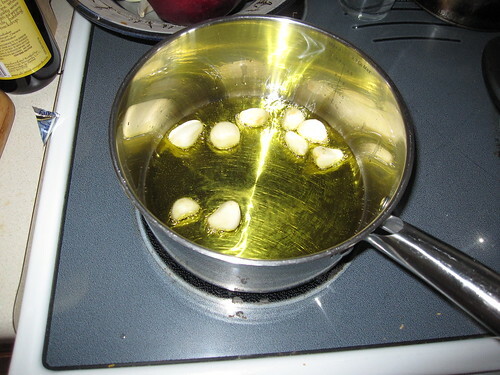 In another pan, bring the olive oil to a boil, then remove from heat for two minutes. While stirring the olive oil, add the paprika, the cumin, the red wine vinegar, then the bread crumbs (slowly). Set this aside. 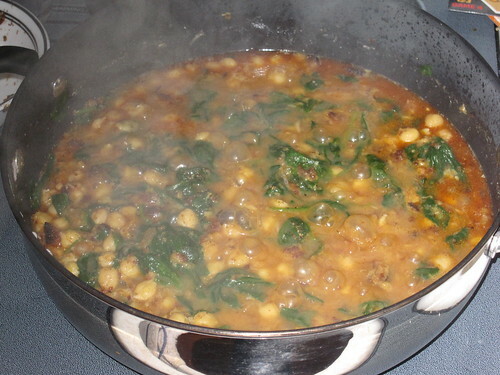 When the beans are boiling, add the spinach and allow it to boil for five minutes, stirring a bit. Add in the olive oil mixture, stir, then allow it to boil for another five minutes. Serve, preferably with bread. This should be enough for at least three meals.